Canon PowerShot ELPH 510 HS 12.1 MP digital camera. At a slim 0.86 inches, the PowerShot ELPH 510 HS has a 28mm wide-angle lens, 12x optical zoom, and optical image stabilizer. Its stylish form is enhanced by its lustrous finish, which gives you a choice of three refined colors: Red, Black and Silver. 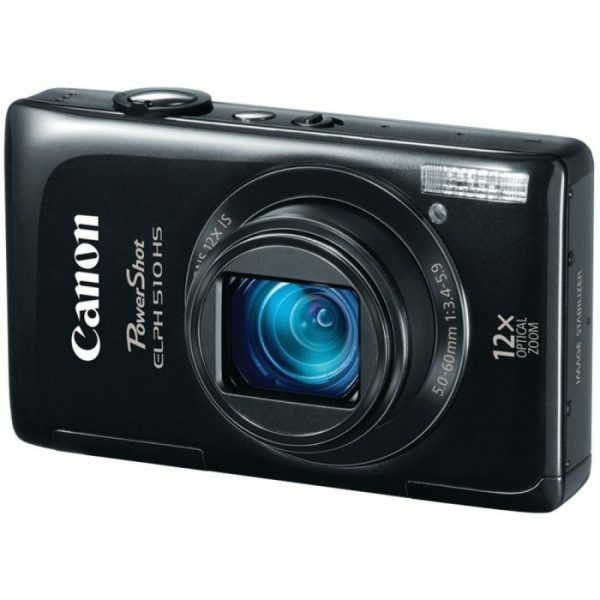 Don’t let those special moments slip by without capturing them on your new Canon PowerShot 12.1MP Digital Camera!